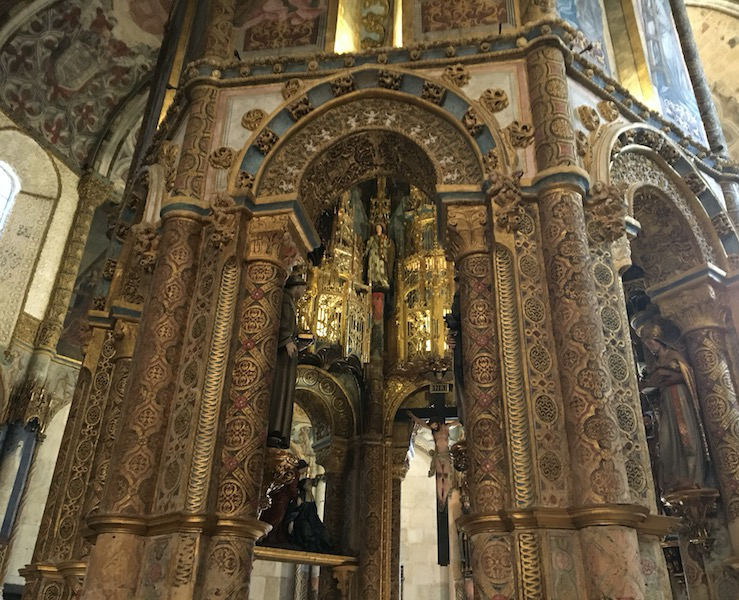 A trip to Tomar is the ideal way to get out of Lisbon for a day or a couple of days to explore the Convent of Christ, a Unesco World Heritage Site, and the Castle of Almourol. Tomar is reachable by public transport, but sometimes it might be easier to hire a car. Either way, you can take this trip independently or as part of a guided tour. 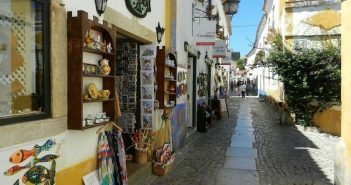 With a population of just 40,000 people, Tomar is located in Central Portugal, about 140 kilometres (87 miles) northeast of Lisbon, approximately one and half hour drive. Tomar is dominated to its west by the monumental complex known as the Convent of Christ, sitting at the top of a hill. The Convent of Christ is not just one monument, but instead it comprises the Castle, the Convent, the national wood known as Mata dos Sete Montes, the hermitage Ermida de Nossa Senhora da Conceição, and the aqueduct of Pegões. Founded in 1160 by the Order of the Templars, the Convent was designed to symbolise the Reconquest. 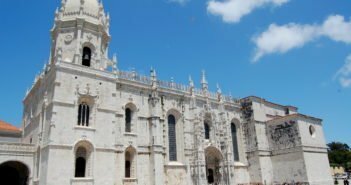 However, built over five centuries, it came to symbolise the Portuguese maritime expansion during the Manueline period in the 16th century. The Convent of Christ in Tomar is a Unesco World Heritage Site. 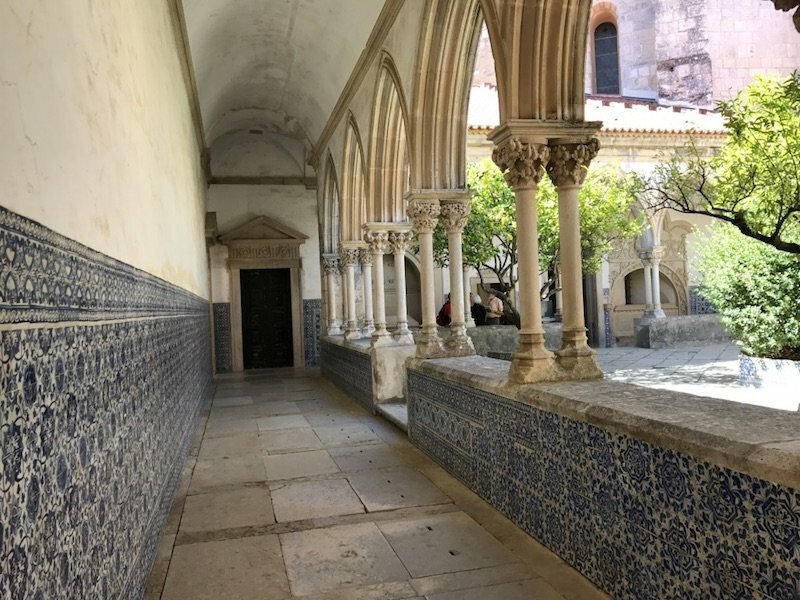 The Convent’s highlights include the 12th century Oratory of the Templars, or Charola, the window of the chapter-house decorated in the Manueline style, and the main cloister (also known as the cloister of King D. João III). Tomar’s town centre is small, but has an interesting cross-shaped layout pointing to the four cardinal points that mark the four convents in the town. The town centre is quite walkable. east for the bridge, the old mills, and the Convent of Santa Iria. 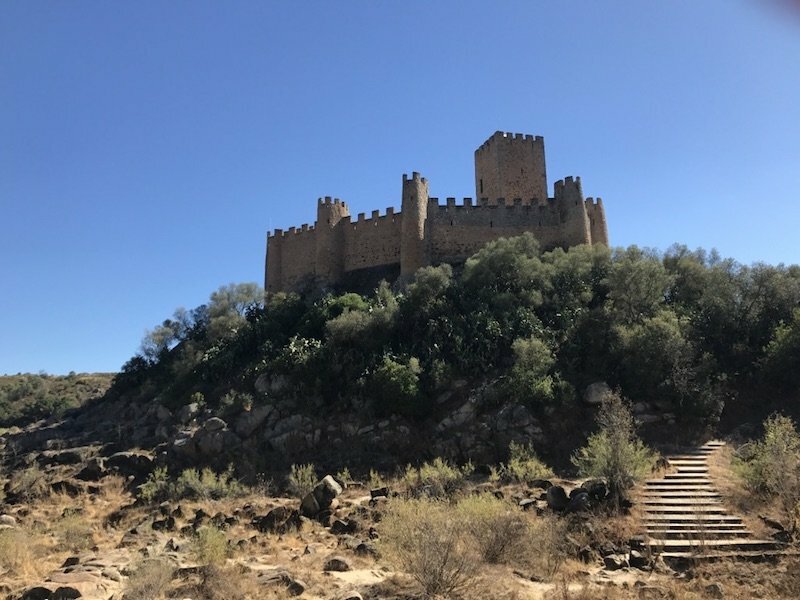 Sitting on an island in the middle of the River Tejo, the Castle of Almourol, dating back to at least 1129, is one of the most famous medieval military monuments of the Reconquest. It’s also evocative of the Templars presence in Portugal. The Castle of Almourol is about 33 kilometres (21 miles) from Tomar, approximately 30 minutes by car. Take the A1 motorway northbound, then take the A23 exit towards Torres Novas. Continue on A23 and exit towards Tomar on EM531. 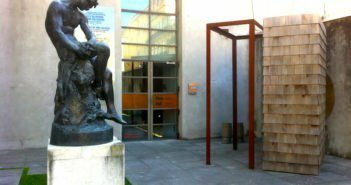 There is a direct regional service from Lisbon Oriente Station in Parque das Nações to Tomar that takes about 2 hours. 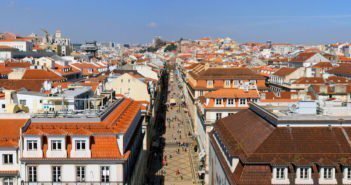 You can also take the faster Intercidades from Lisbon Oriente Station to Entroncamento, and then change to the Regional to Tomar – the entire trip may take 1h40. 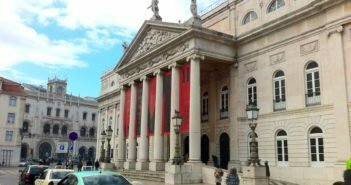 Take a direct bus from Lisbon to Tomar with Rede Expressos. It will get you there in one hour and 45 minutes. From Sete Rios bus terminal (metro’s blue line), buses to Tomar depart from 7am onwards. 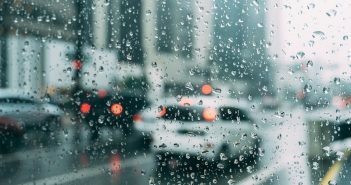 However, schedules may not always be very convenient for tourists. There are a few lodging options in and around Tomar if you decide to spend the night. 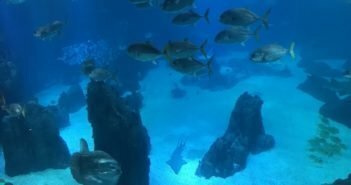 See the best offers on booking.com. Tomar has a number of nice restaurants in the town centre. 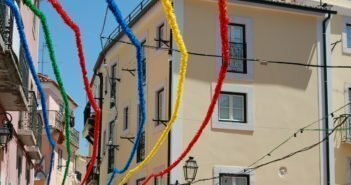 Two of the most popular are the Tabuleiro (Rua Serpa Pinto) where you can try the arroz de peixe (rice with fish and shrimp), and the Taverna Antiqua (Praça da República 23) that serves food with a medieval theme.